We begin with this photo of Alyssa Morgan enjoying a bridge tour on Independence of the Seas. Dan Kohout shared this photo of Harmony of the Seas in Barcelona, taken onboard SUNY Maritime’s own Training Ship Empire State VI. Here is a photo of Ovation of the Seas at night, taken by Sean. 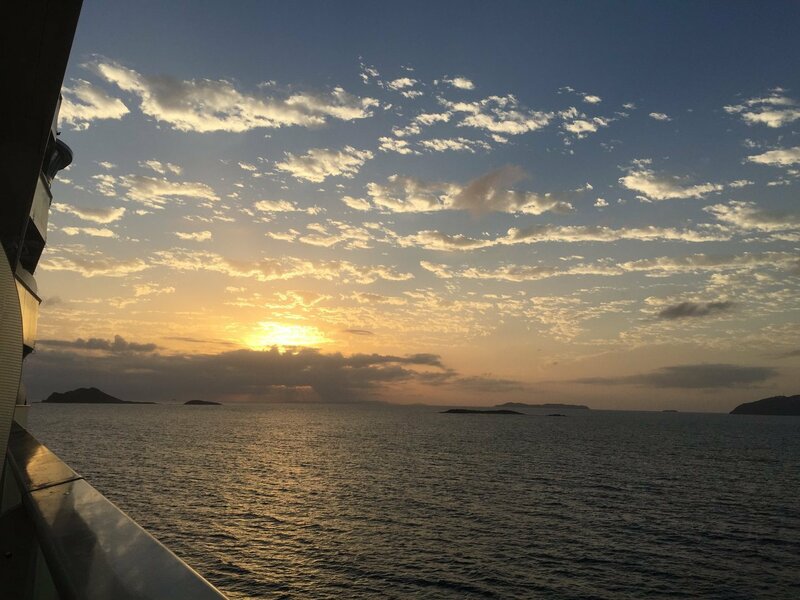 Next, we have a photo of the sun setting over St. Thomas, as seen from Leigh's balcony on Allure of the Seas. Travis N. took this photo of Oasis of the Seas docked in Labadee. Jeff LeBriton captured the changing Royal Promenade sign on Freedom of the Seas. Traveler sent in this photo of Symphony of the Seas while the ship was docked in La Speza, Italy.